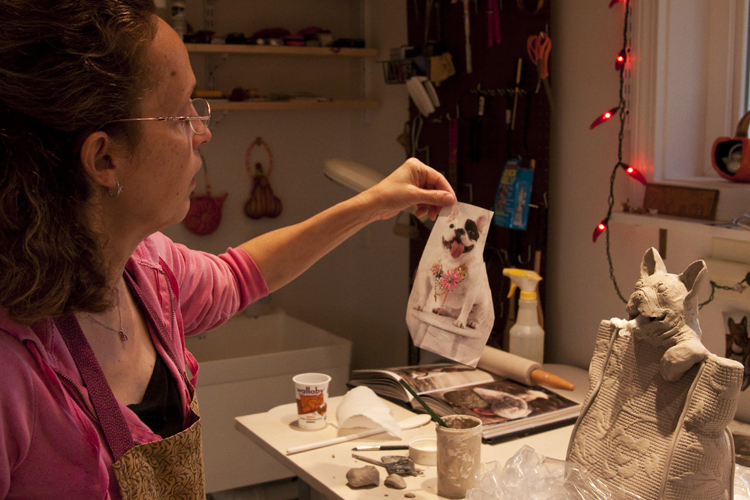 For Meryl, an idea for new teapot usually begins with a sketch or a photo in a magazine. While some finished pieces look very much like the initial sketch, many do not. Throughout the entire process of creating, Meryl says she remains open to new ideas of where to go with each one‐of‐a‐kind piece.